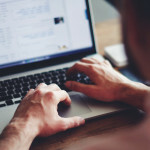 Finding and announcing a community event online just got a lot easier and faster. 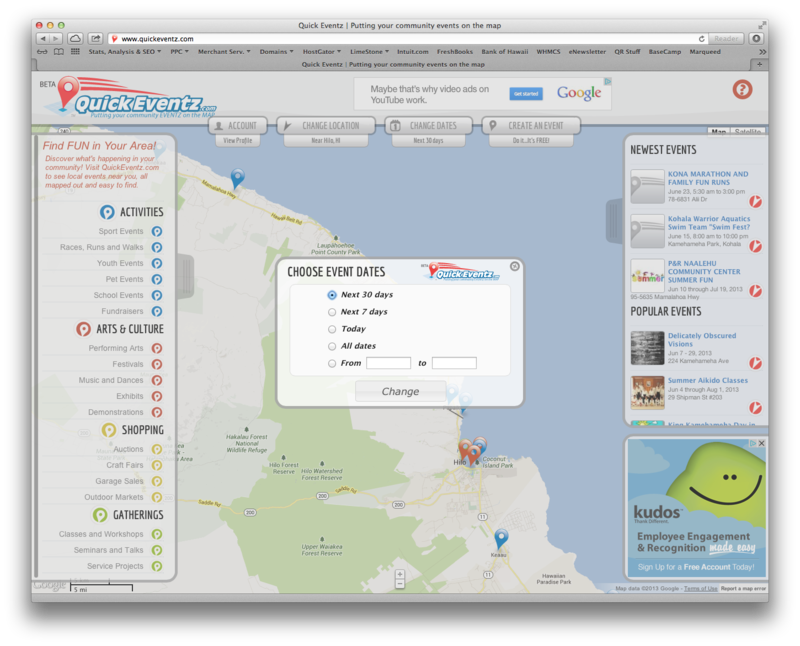 AS Designs proudly announces the development and launch of QuickEventz™.com. 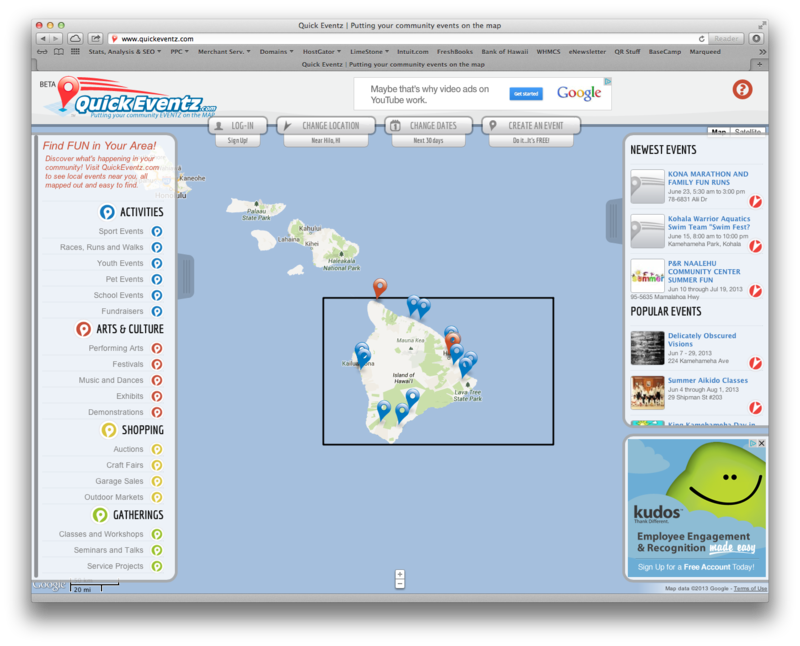 QuickEventz.com is a FREE, all-inclusive, map-based community calendar, providing a central site for finding events, fairs, festivals, sports, fundraisers, showings and other community events that are happening in a local area. The goals of QuickEventz.com are to bring people together, and make it quick and easy for visitors and locals alike to attend events they enjoy as well as help make events successful. 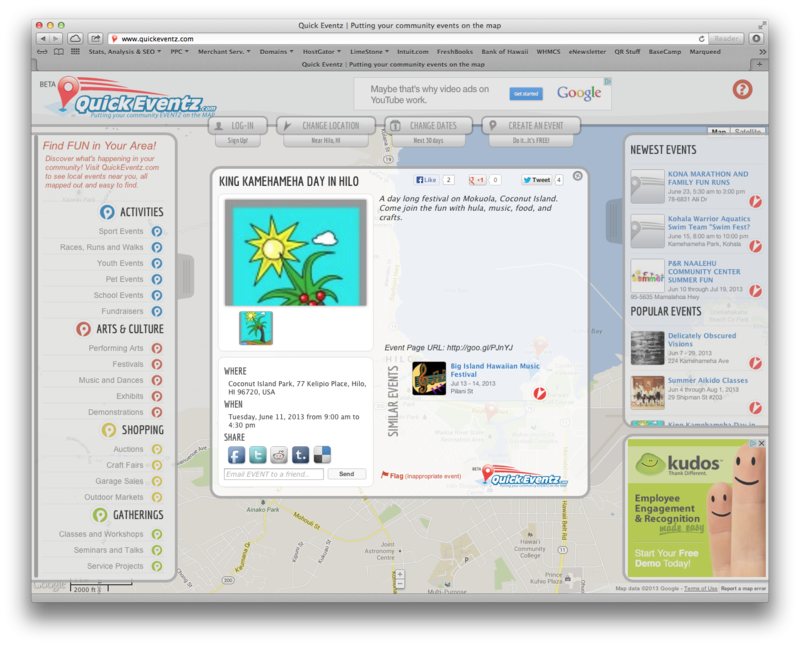 Created by, AS Designs & Services, this new website makes it easy to discover what’s happening in a local community, all mapped out using Google Maps. 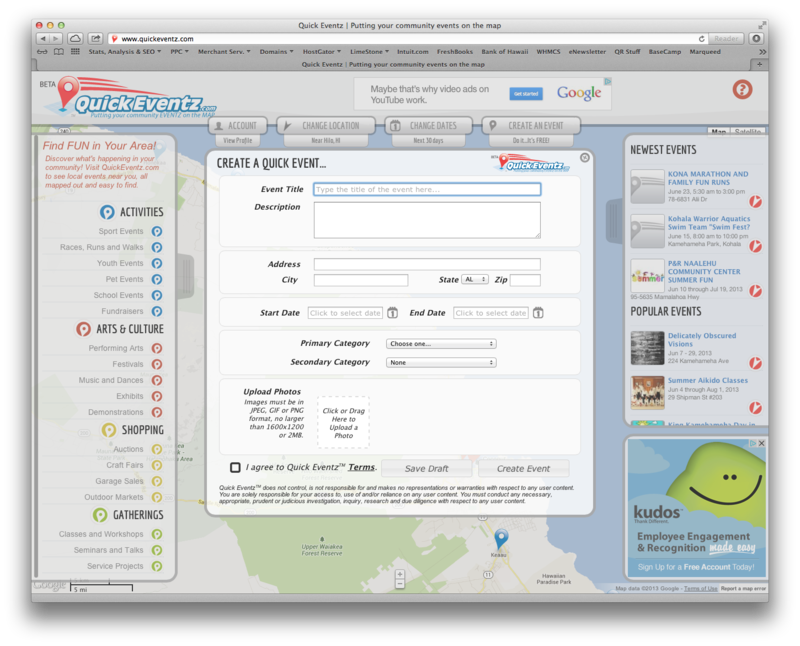 Listing an event takes less than 60 seconds using the QuickEventz.com easy-to-fill-out forms. 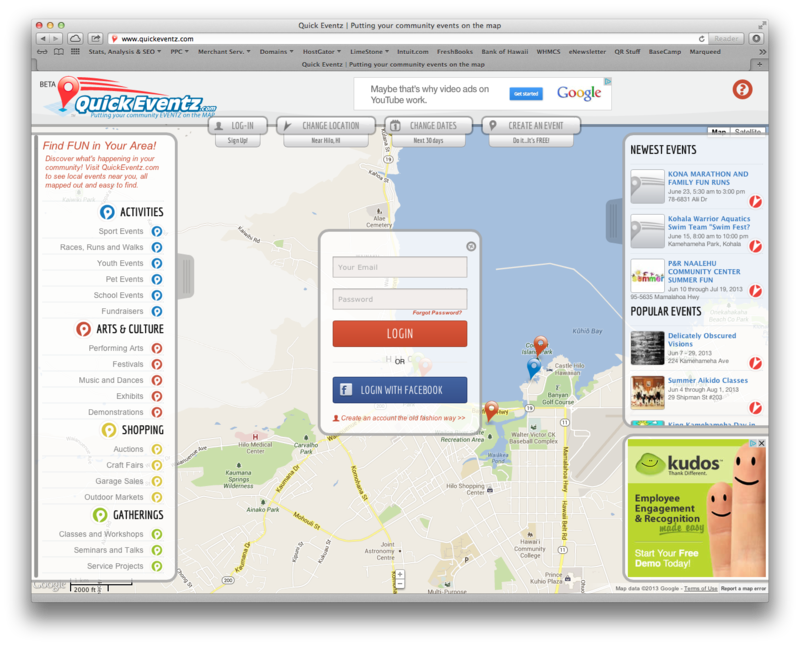 Events are categorized making them convenient for users to search. 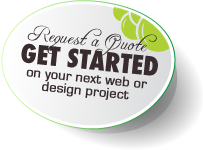 Categories include culture, art, music, food, sports, festivals, garage sales, auctions, and more. 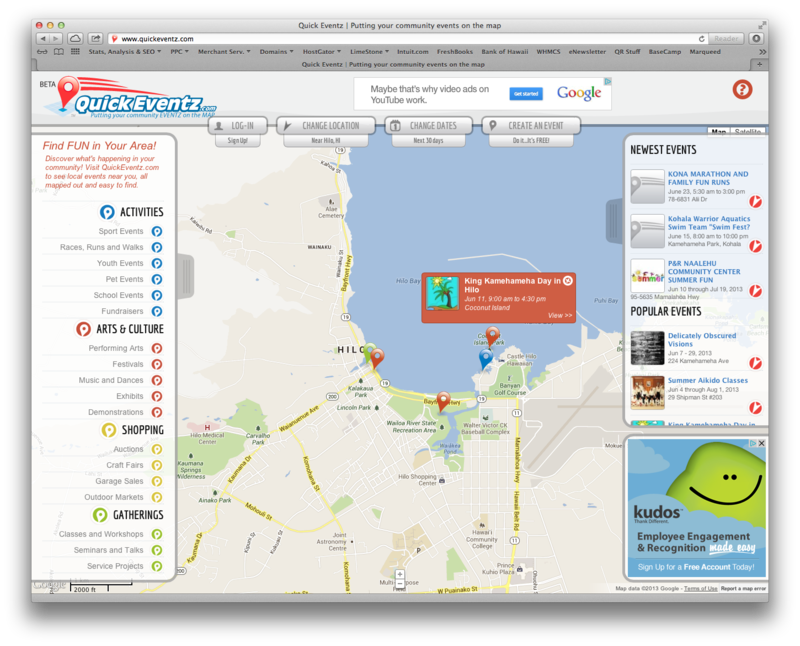 Organizers who have multiple or ongoing events should contact QuickEventz.com about bulk uploads. 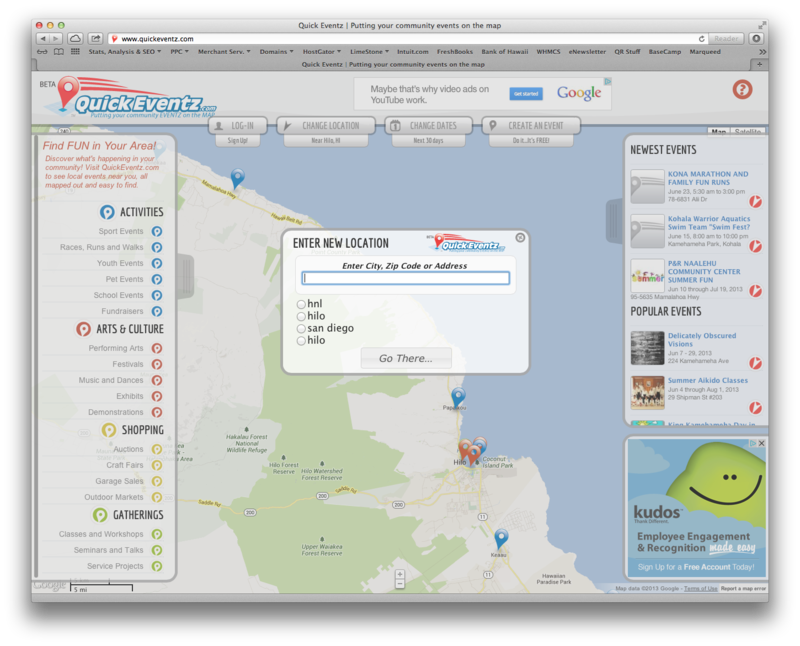 QuickEventz.com offers a variety of tools to promote events including social media options (Facebook, Twitter, etc. 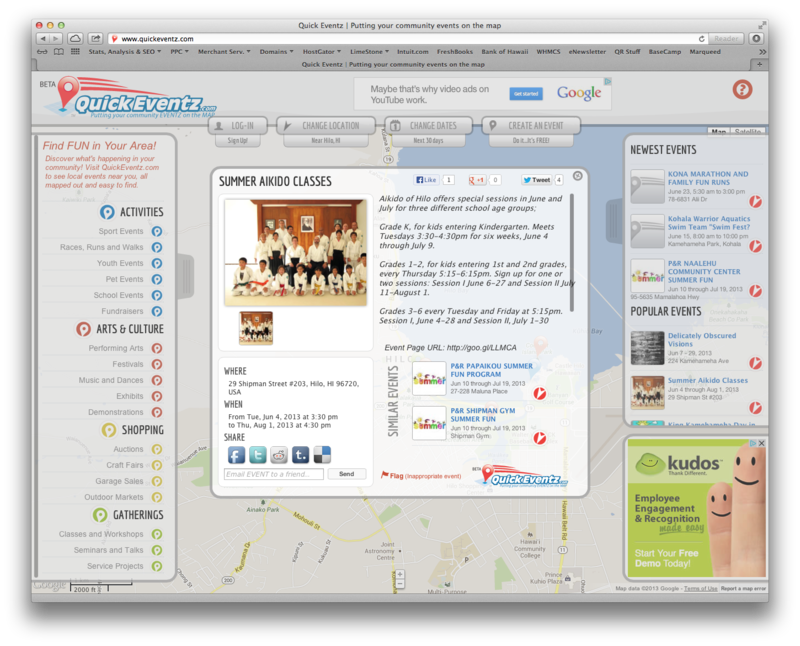 ), an event promotion tips/tricks blog (www.QETips.com), as well as a paid advertising option. 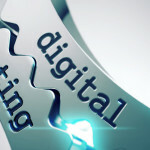 Successful event promotion benefits all site visitors. 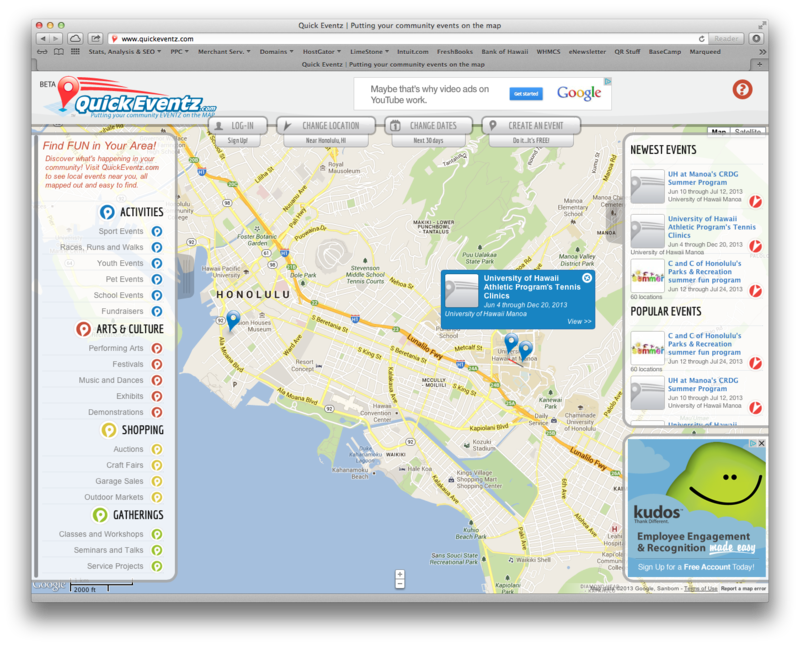 QuickEventz.com is committed to supporting their user base in promoting successful, and well-attended events.